“Welcome to my paradise, where the sky so blue, where the sun shines so bright.” I wasn’t able to track how many times this particular song was played on my night trip from Puerto Princesa City to El Nido. Cherry Bus has a lot of vacant seats and I was the only tourist going to El Nido that time. Most of the locals dropped off in Roxas and Taytay. The song kept on playing on the bus until I fell asleep. When I woke up, the bus was already parked on a terminal in El Nido. 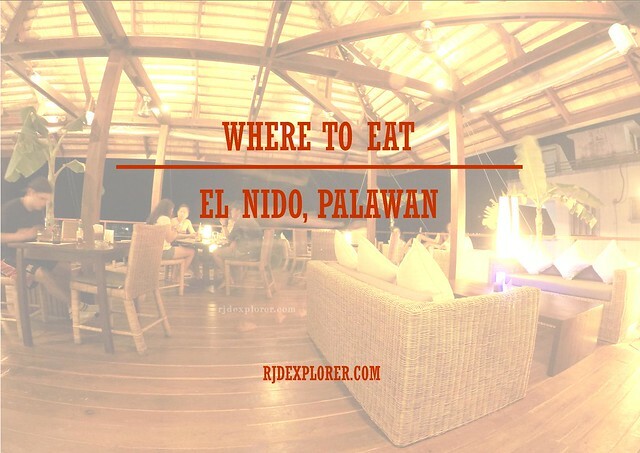 El Nido has also its local restaurants, from budget eateries to fancy cafes. 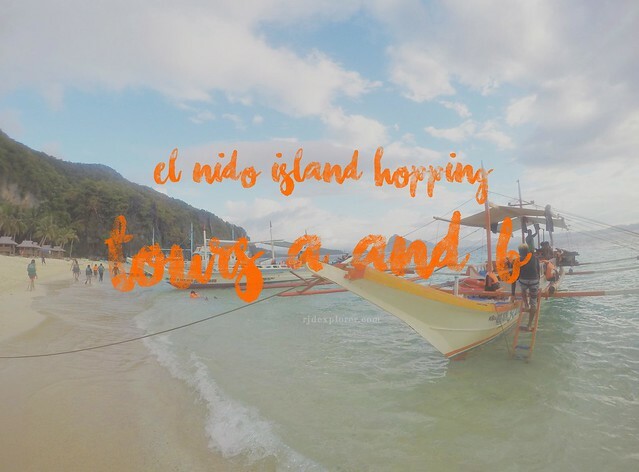 Most travelers visiting the destination talk about the lavish lunch being served on island hopping activities yet they search the dusty streets of El Nido when they get back in town to have that rewarding meal before calling another day in paradise. In terms of where to stay, El Nido provides numerous options from backpacker dormitories to groups and some luxury accommodations. 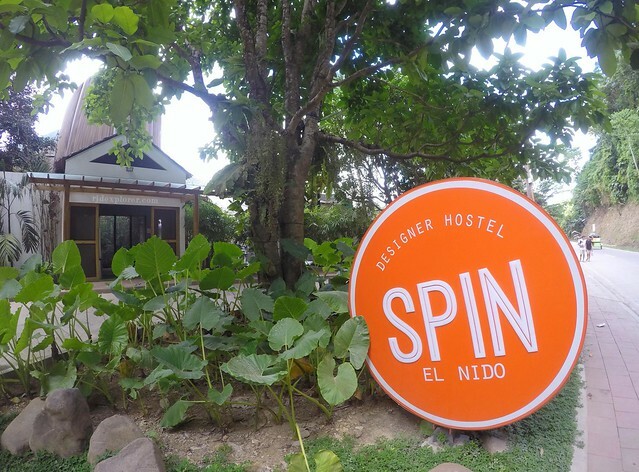 On my visit, I wanted to experience the newly opened SPIN Designer Hostel so I booked a night but moved to Rainforest Beach Hotel to join my friends who arrived on my second day in town. 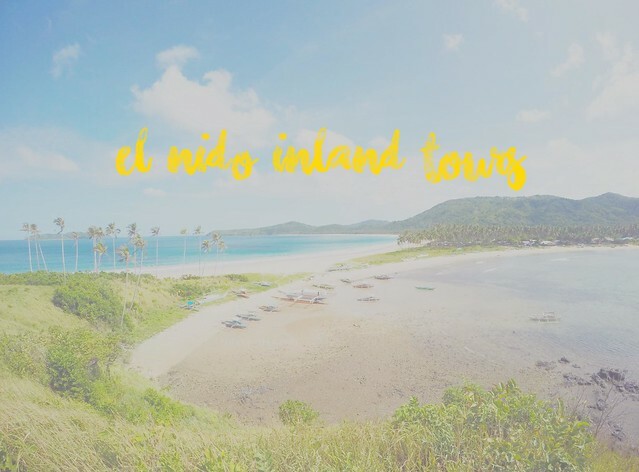 Book your stay in El Nido, Palawan on the search box below. Cebu Pacific Air and Philippines Airlines have direct flights from Manila, Cebu, and Iloilo to Puerto Princesa City. From Puerto Princesa City Airport, vans plying the Puerto Princesa City to El Nido route are available, travel time from 5 – 6 hours and fare of Php500. Bus is also an option and on cheaper fare Php480 (aircon). From the airport, you need to head to San Jose Bus Terminal where buses bound for El Nido waiting and. From the airport, take a tricycle to the junction (near the capitol), and from junction, you can take a multicab bound to San Jose Market where the last stop is the bus terminal. Just ask locals for help with the directions. Cherry Bus has 3 schedules for El Nido; non-aircon (7AM, 11AM,5PM) and aircon (9AM, 1PM, 9PM), same schedule for El Nido to Puerto Princesa City. There are numerous shipping lines that cater the Coron – El Nido route daily. Travel time takes 8 hours with fares from Php1500. You can check a comprehensive guide on the boat schedules on Lakas.ph’s website. Island Transvoyager Inc offers 3 flights daily from Manila direct to El Nido and back with the following schedules: Manila – El Nido (7AM, 11AM, 3PM) and El Nido – Manila (9AM, 1PM, 5PM). You can book via their GSA at Artcafe, or by sending an email to flights@elnidoboutiqueandartcafe.com. 1. Tricycles bound to and from Marimegmeg Beach offer a Php150 rate per way. You can split it among your group. 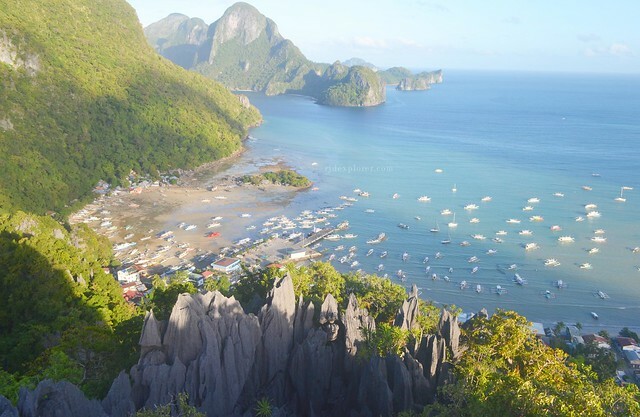 If you’re alone, you have the option to walk/run from El Nido town to the beach, it will take you 30 – 45 minutes. 2. In climbing Taraw Cliff, I advise you get a guide because the activity is extreme and dangerous. Bring also gears like gloves, knee pads, and proper footwear. Guide fee is Php350 that you can split with your group. You may contact Northern Hope Tours for guiding assistance. 3. Availing combination tours is not advisable as you will not enjoy much of the destinations as you have a lot to cover. Depends on you though and if you only have limited time in town and want to visit more island attractions. 4. There are also accommodations in Nacpan Beach just in case you opt to spend a night away from El Nido town. Can i ask? 380 aircon bus? Or 480? Php 480 for aircon, and Php385 for ordinary.